Perfect to finish any corner in your room. 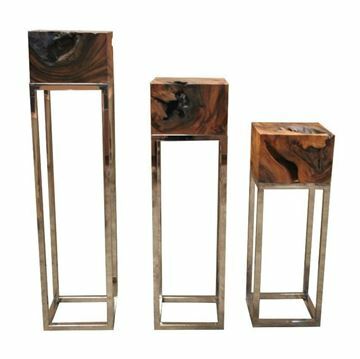 The Block pedestals by Bellini Modern feature Acacia wood tops, and polished stainless steel bases. Available in three heights, 31", 39", and 47". All are 12" square. There are more than 1000 varieties of Acaia wood globally, native to Australia and Hawaii. It's well known for beautiful deep grain, and each piece has it's own natural series of nuance and characteristics. 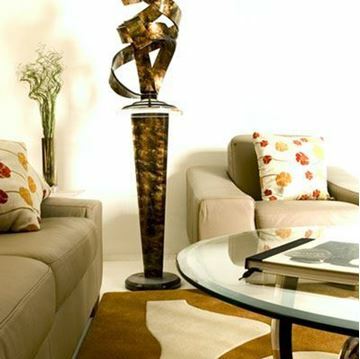 The Adan Pedestal was inspired by the Adan Sculpture. Infusing the same design characteristics, we created this pedestal with unique warm and deep color tones. Available as pictured in metallic earth tones, or as black with silver metallic accents. Top and base plates can be ordered as round, square, or rectangular. Available in 36" or 42" height.